Welcome to Williams & Associates, P.C. After you have reviewed the information on our website about your rights and alternatives, if you still have questions, or wish to make an appointment to review your financial situation, please call our law office at (309) 788-3799 or fill out our simple contact form below. Your initial interview is free and usually takes about an hour and a half. We will review your individual financial situation and advise you of your alternatives. Sometimes persons are not as bad off as they think they are, and if this is so, we will recommend alternatives other than filing for protection under the Bankruptcy Court. We will, however, give you our recommendation as what you should do, and of course, the final decision is left up to you. Filing for Bankruptcy protection is an important decision, and you should not be rushed into filing without fully understanding your rights, alternatives, and obligations under the law. Thank you, and we hope you find our website helpful. Since 1972, the law firm of Williams & Associates, P.C. has helped over 15,000 individuals, families and small business owners obtain a fresh start. Devoted exclusively to bankruptcy law, attorney Michael Williams offers the expert legal advice you need to understand and weigh your options. With this extensive experience in the area of Bankruptcy and Debt Reorganization Law, we can help you solve your financial problems while helping you protect your property to the full extent that the law allows. We are dedicated to providing quality legal representation through high standards of integrity, diligence, and experience. Our firm integrates years of experience with the latest legal technology to help remedy your situation and enhance communication with you, our client! Even though law changes make it more difficult to get relief from your debts, you can still file for bankruptcy, but you need the right bankruptcy attorney. We understand the circumstances that have brought you here can create a great deal of stress and uncertainty in your life. Our aim is to equip you with knowledge and assistance to ground you and alleviate extreme pressures that can hamper judgement or invoke rash decision making. We make sure you are aware of all options. We make you as comfortable as possible throughout the legal processes. When you choose our firm to represent you, you get the best legal advice and trusted advisors. Millions have filed bankruptcy and millions more are considering bankruptcy, even as we speak. There are short-term reasons and then there are the traditional or long term reasons why so many people have been filing bankruptcy. See if these apply to you. TRADITIONAL REASONS WHY PEOPLE FILE BANKRUPTCY: The Straw that Breaks the Camel’s Back. Most people do live within their means. Unfortunately, it only takes one major, unexpected problem to destroy carefully-made plans. Gasoline prices are climbing out of sight, once again! Home heating costs have risen sharply! Insurance rates are going up as a result of Hurricane Katrina! Jobs are still being exported overseas! Many credit card companies are DOUBLING their MINIMUM MONTHLY PAYMENTS! In short, the perfect storm is brewing and you and I are caught in the middle of it! But people also lose jobs, suffer unexpected, uninsured medical bills and get divorced. Can you honestly blame anyone for things outside their control? Let me be clear: I am NOT a high-pressure salesman. There are enough people who truly need to file bankruptcy that I do not need to persuade someone who doesn’t need to file bankruptcy to do so. There are alternatives to Chapter 7 and Chapter 13 and you may be able to avoid bankruptcy, altogether! There are two types of bankruptcy that consumers usually file. Chapter 7 is a straight liquidation. In Chapter 7, you file a petition and schedules that list all of your assets and debt with the Bankruptcy Court. You eliminate all debts that are dischargeable. In most cases, people who file bankruptcy do not lose any of their property to the Bankruptcy Court because the property is exempt under state law. You may not be able to file Chapter 7 if you have sufficient income to repay your debts in Chapter 13. Find out more about Chapter 7 income requirements. Chapter 13 is a reorganization. In Chapter 13, you re-organize your debts, and you pay them in part or in full over a three- to five-year period of time. Chapter 13 may offer more advantages to you than Chapter 7 does! Probably the best, short explanation about bankruptcy and what it can or cannot do for you comes from several Disclosures we are required to give to you, before you file bankruptcy. There are some things you need to do, before you file bankruptcy. Learn about the new bankruptcy filing requirements. There are costs involved in filing bankruptcy. Learn about the costs and fees for filing bankruptcy. There are no hidden fees! You will need to bring some things with you to our initial meeting. Learn what to bring with you for our first FREE CONSULTATION. Why You Should Choose Williams & Associates, P.C. Williams & Associates provides consumer debtors with the legal services needed to retain their solvency and get a fresh start in their financial affairs. For over 35 years Michael Williams has specialized in the area of Bankruptcy Law. He has used this experience to help tens of thousands of consumer debtors re-establish their credit and maintain control of their finances. 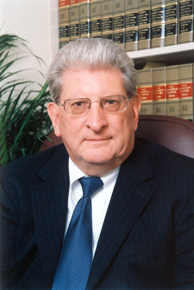 Michael Williams is a member of the American Bar Association and is admitted to practice law in the Illinois and Iowa Federal District Courts. He is also a member of the International Lawyers Association. Thank you for all you’ve done for my case! Finally — not afraid to answer the phone anymore. Your direction and representation was exceptional and returned stability to our lives.